People really love their dog,s and it’s not for nothing that dogs are considered to be man’s best friend. So imagine the terror of thinking that your dog was going to drown. That’s what happened to one Argentinian recently when he was out walking his pet dogs. A slight accident during play and one of his dogs was plunged into mortal danger. Yet, all was not lost. While a dog may be a man’s best friend, it may also be another dog’s best friend too. You won’t believe what happened when the pet owner’s other dog decided to intervene. Water holds a real pull on man and animals. It’s a source of food, drink and it can be used for hygienic purposes too. Yet, it can be deceptive. 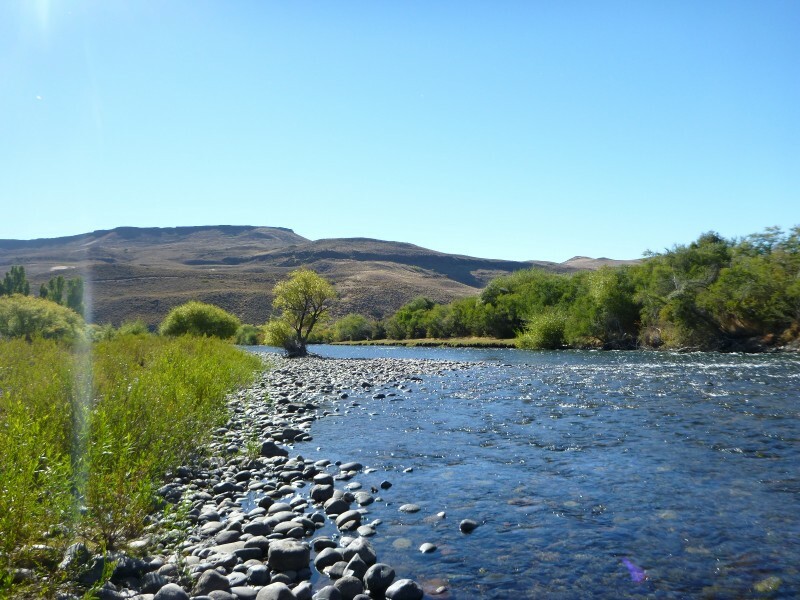 While many visits to a river will pass without the slightest incident, the current and power of a river should never be underestimated. 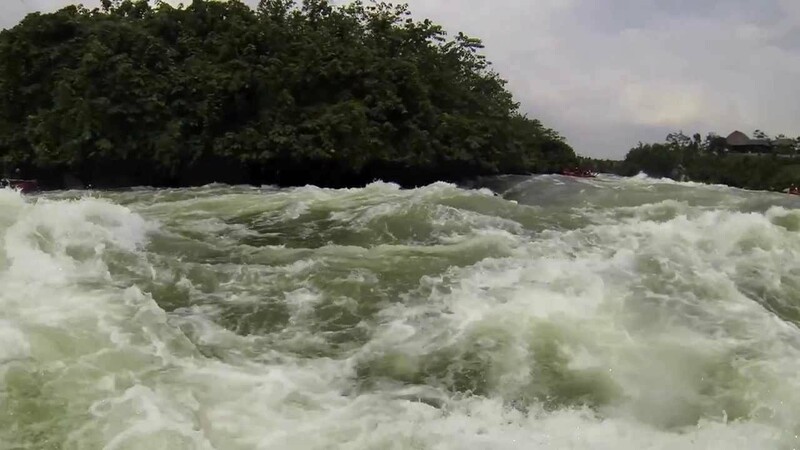 Rapids are caused by the narrowing of a river and a sudden increase in gradient (e.g. the river starts to slope downwards). The two combine to increase the speed of the water and the turbulence within the water. It was this combination that would threaten the life of one of the dogs. The day started out pretty normally. 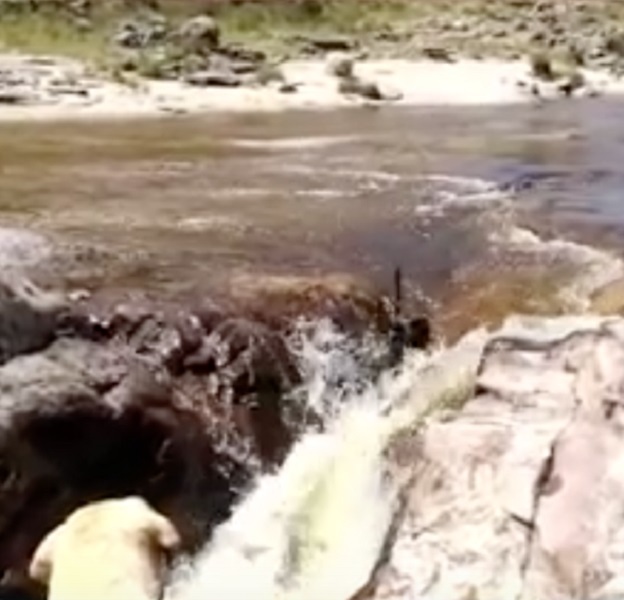 An Argentine dog owner decided that it was a beautiful day and that he would take his two pet dogs for a walk along the river to enjoy the sun’s rays. As you can see, the dog has a healthy respect for the current of the rapids. When you take dogs for a walk, there’s always an urge to play with them. This is one of the benefits of being a dog owner – the exercise and exuberance you get from playing with your pets keep you younger and healthier. 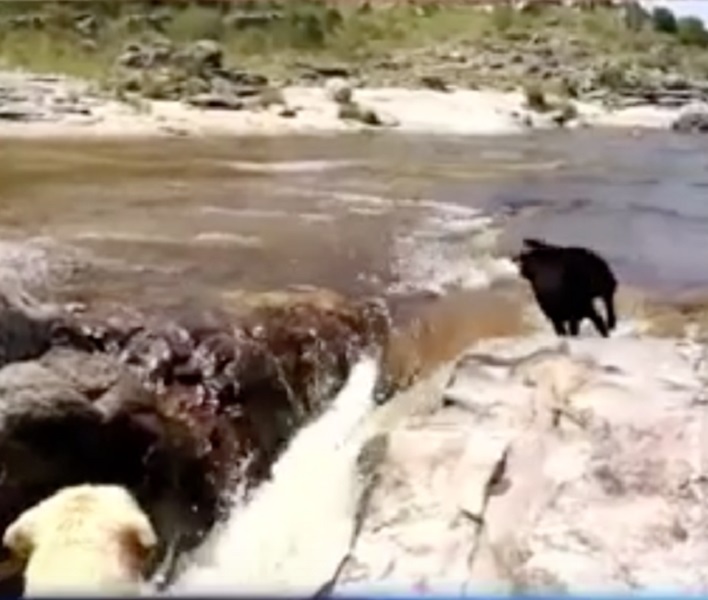 This dog’s owner was no exception and he decided to play “fetch” with a stick. Unfortunately, our dog owner mistimed his stick throw and disaster struck. 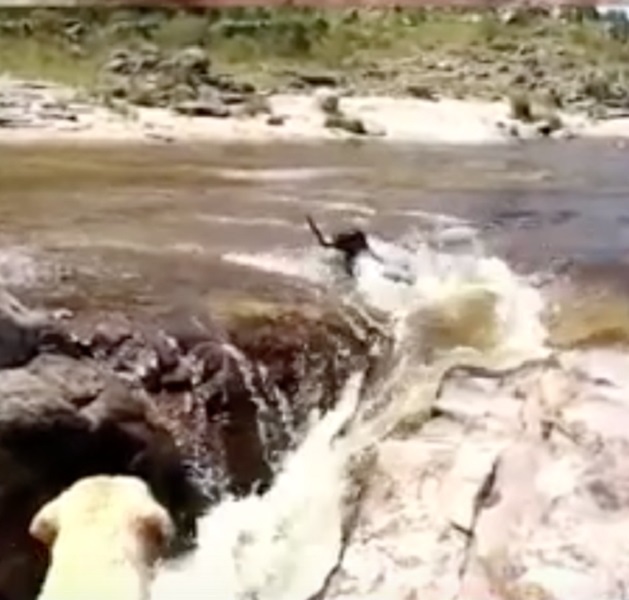 The black labrador was completely focused on the stick and when it passed over his head and into the water, he fell as he caught the stick in his jaws. The rapids began to pull him away from shore and from safety.